Just in case anyone has forgotten, or has simply not grasped how mendacious europhiles are and how they have conspired to stop the people of Europe voting in a referendum on the Lisbon Treaty, listen to ex-Italian PM say so himself. They deliberately made the Lisbon Treaty unreadable. I hope the Irish take note. You can listen to them all chortling about how terribly clever they are on this clip. There is a quite lot of this kind of gloating going on in the pro-euro camp at the moment. But unfortunately for them, calls for a referendum are not going to go away. OFCOM have informed me today that they do not handle complaints against the BBC for bias - that is the job of the BBC Trust. So, rather than directing your complaint to OFCOM, you should instead direct it to the BBC Trust. Contact details for the BBC Trust are available on the BBC website at http://www.bbc.co.uk/bbctrust. Whether the BBC Trust will deal with the complain with the same level of independence as OFCOM remains to be seen. The Germans were not keen on relinquishing their highly regarded Deutsche Mark for the Euro in the '90s, for fear that should any member states be reckless with their economies, Germany's economy would be forced to bail them out. So the Maastricht Treaty was designed to reassure German taxpayers that bailouts between member states would be illegal and that each member state had to be fully responsible for their own fiscal policies - including debts they incurred. At the time, the German economy was strong, Ireland's economy beginning to boom, EU states generally growing and nobody seemed to foresee the possibility of future economic busts - despite the huge disparity between the social and economic fabric of the member states. Ireland's current spending shortfall this year is €26bn while its spending requirement is €60bn, which means that it must borrow approximately €400m per week to keep the public sector going. Ireland's debt servicing costs are already the most expensive in Europe because the markets regard it as risky. Ireland is in a bit of a hole. In October, it faces its second referendum on the same Lisbon Treaty with bogus guarantees and the EU and Brian Lenihan are trying to convince them that should their economy crash, their only hope would be bailouts from the EU. Firstly, Ireland can slash its public sector and save itself a ton of money - so giving the markets confidence in its handling of the economy. That would have the effect of easing the cost of its credit and reducing the likelihood of its economy crashing. Secondly, 70% of Germans are against bailing out the Irish and indeed, under EU law, it would be illegal for them to do so. that the EU will bail them out should their economy fail (it can't and it won't). And we all have to pay for the privilege of delivering this fiction to them, to persuade them to sign up to a treaty that none of the people of the member states wants! 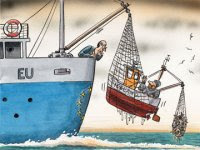 Merkel, who faces an election this year, is latching onto a line from Article 100 of the Maastricht Treaty which permits a bailout for a member state in the case of "natural disasters" or "exceptional occurrences beyond its control." She says this allows some "interpretive room for manoeuvre." Update: Der Spiegel gives the low-down on Germany's economy. The Irish aren't stupid but people do crazy things when scared - which is precisely what the EU intended. We have a duty to tear the veil from their eyes, in any way we can. I suggest we get busy blogging - and flooding their newspapers with comments. BBC Bias Clearly on View. Aunty shows her underskirt! Eastern regional organiser Pete Reeve had an amazing double win in Cambridgeshire taking both the District and County Council seats at the Ramsey by-election. 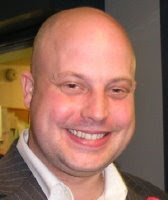 Hard-working Pete, who ran the campaign for Norwich North candidate Glenn Tingle as well as his own, took In the County Council seat he took 43% of the vote in the County Council and 39% in the District Council – gaining both seats with a majority of nearly 200 from the Conservatives and Liberal Democrats respectively. UKIP Leader Nigel Farage said:"This is a great result and shows that UKIP can do very much more than just succeed in the European Elections." In his acceptance speech, Councillor Reeve said "It's not a victory for me. It's a victory for UKIP and the UKIP team. It's a victory for Ramsey, a victory for peope on the streets and I hope that we will be able to work together in the future." Pete Reeve also thanked activists who have helped to run a professional campaign. The results will provide a springboard for the General Election campaign. UKIP General Secretary Jonathan Arnott spoke at a public meeting in Ramsey on Tuesday night, in which he praised Pete Reeve as "a hard-working local activist who has campaigned tirelessly on behalf of people in Ramsey". The Conservative Party has been a long term supporter of Turkey's application to become a full member of the European Union. This demonstrates that the Conservatives are soft on immigration and soft on Europe. While David Cameron tries to give the impression of being tough on these issues. It is all hypocrisy. David Cameron's hypocrisy should be exposed. Its a matter of "VOTE TORY, GET TURKEY"
Voting started today in the Norwich North by-election. The UKIP candidate, Glenn Tingle, has run an excellent high profile campaign with the help of dozens of UKIP volunteers who travelled to Norwich to help deliver leaflets. The West Midlands even contributed a coach load of people! Despite the BBC freezing Glenn Tingle out of their election programming, for which they have yet to provide a reasonable excuse, hopes are still running high that Glenn could be the first successful UKIP candidate in a Westminster election. The BBC, as you would expect, are continuing to report this as a two-horse race between the Conswervatives and Liebour despite the evidence from the people out knocking doors pointing to it being a run-off between the Conswervatives and UKIP. The Lib Dims reckon it's between the Conswervatives and them. The Greens are putting out their usual deluded guff about how well they're expecting to do (just like they did before the EU imperial elections last month). Will Glenn Tingle be the next MP for Norwich North? Only time will tell. The UKIP campaign in Norwich North has been excellent but the BBC's campaign against UKIP has been persistent. I think at worst, Glenn Tingle will come in second behind the Conswervatives and if he does come second it certainly won't be a reflection on the campaign. The BBC responded to my complaint about their exclusion of Glenn Tingle from their election programming in Norwich North in record time with a pre-prepared response that has been sent to lots of other people who complained. Thanks for your e-mail regarding our coverage of UKIP. Especially when there are a large number of candidates - 12 in Norwich North - the broader interests of the voters would not be served by giving equal coverage to each and every candidate, irrespective of their chances of success. So when editors are deciding how much coverage to give, relatively, to different parties and candidates in any election, one of the key factors they look for is "evidence of past and/or current electoral support" in that electoral area. On that basis, in Norwich there is clear evidence of support for the three main parties as well as for the Green Party and therefore those parties will be getting similar levels of coverage. Similarly, there is evidence from the recent elections that both UKIP and the BNP have some support in at least parts of the constituency and they will also, proportionately, be given an appropriate level of coverage by programmes covering the by-election. For example, 'Look East' looked at Glenn Tingle's candidacy on 15 July and Radio Norfolk did a piece on him the following day. UKIP leader Nigel Farage's visit to the constituency also featured on 'Look East' and 'Look East Special' on 20 July. We'd like to assure you that we've registered your comments on our audience log. This is the internal report of audience feedback which we compile daily for all programme makers and commissioning executives within the BBC, and also their senior management. It ensures that your points, and all other comments we receive, are circulated and considered across the BBC. This just isn't good enough. If they look at "evidence of past and/or present support" then they will see that Liebour and the Lib Dims both came behind UKIP in the elections in June. They will see that Liebour no longer controls a county council in England. They will see that Glenn Tingle is currently out in front according to one of his rivals. I have received a response to a complaint under reference T20090721xxxxxxxx and am not satisfied with the response. In your response you claim that because there are so many candidates in the Norwich North by-election you allocate coverage to candidates based on "evidence of past and/or present support". In the election last month UKIP came second, ahead of Labour, the Lib Dems and the Greens. Labour no longer controls a single county council in England and the Lib Dems control only one. Labour lost three quarters of their councillors in England and now have less that the Lib Dems. The Greens continue to be an irrelevance in local, national and EU elections. Glenn Tingle's opponent in Norwich North, Craig Murray, says on his website that more people are telling him that they will be voting UKIP than any other party which confirms that Glenn Tingle is the leading candidate. So the BBC has clearly not based its election coverage on "evidence of past and/or present support". I am very unhappy at the unfair promotion of Labour, the Lib Dems and the Green Party at the expense of UKIP and at being lied to in the response to my original complaint. If you received the same inadequate response, please make sure you make a new complaint about it. With polling day less than one week away, the Glenn Tingle campaign has kicked into high gear.The momentum in the Norwich is building with dozens of UKIP's activists and helpers canvassing and leafletting the length and breadth of the constituency. They have been joined by UKIP's MEPs David Bannerman , Stuart Agnew , Nigel Farage , Derek Clarke , Nikki Sinclaire , Paul Nutall and Marta Andreasen. With a public meeting planned on Monday the 20th which will see Party Leader Nigel Farage share a platform with Glenn Tingle, the time to come down and help the campaign is now. Countless doors have been knocked but if the campaign's potential is to be realised and if Glenn Tingle is to score the result his dedication deserves, we need UKIP activists in Norwich every day from now on. Free Accomodation can be provided, so do get in touch. The Lisbon Treaty ratification process is a slow motion Coup d'etat. When the Lisbon Treaty is ratified, it will pass virtually all law making power in Britain, over to the European Union, in a slow motion coup d'etat. The Conservatives say they have no option but accept that state of affairs, if they are elected after the ratification process of the Lisbon Treaty has been completed. If the Conservatives accept the Lisbon Treaty under these circumstances , they will have ratted on their 2005 election manifesto promise, to hold a referendum on the Lisbon Treaty. Total Politics (Iain Dale's latest venture) are running the annual top blogs poll. Send your top ten list of UK blogs to toptenblogs@totalpolitics.com to take part in the poll. Members of the Icelandic Parliament, the Alþingi, have narrowly voted to surrender one of the oldest parliaments on the planet to the European Empire in 2013. Iceland has had its own parliament since 930 with only a 45 year break. The Icelandic economy relied almost exclusively on fishing, banking and tourism until recently when most of their banks collapsed (helped along by the British government abusing anti-terrorism laws to force the UK arm of an Icelandic bank into administration) and the Europe-wide recession meant nobody could afford to go to Iceland on holiday. Iceland is now bankrupt with no hope of paying its way out of insolvency in our lifetime and sees the European Empire - and more specifically, our money - as the only way to balance the books. Emperor Barroso is happy with the vote, saying that Iceland is a "European country with long and deep democratic roots". 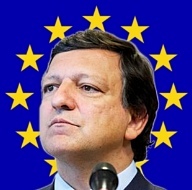 He likes a challenge does Emperor Barroso, unravelling 1,079 of parliamentary democracy in 4 years will keep him busy. He went on to say that it was evidence of the "vitality of the European project and indicative of the hope that Europe represents". Hope that the net contributors to the imperial treasury - the UK, the Netherlands and Germany - will bail them out and they will need bailing out for a long time because not only has their banking sector been devastated but they will find their fishing industry eradicated by EU fishing quotas and their tourism industry wiped out by the EU's green taxes targeted at preventing people from flying. Iceland has two options for the future - they can either stay as an independent, sovereign nation and emerge from recession in a few years as an independent, sovereign nation or they can submit themselves to EU imperialism and have their economy pegged at third world levels for the next few decades. This is a meeting of the Prime Ministers of all the EU countries. They meet regularly to approve treaties, and decide on the general direction of future policy. The President of the European Council is the Prime Minister of an EU country, and holds the post for six months. All the real power to make laws and amend leglislation lies with the EU Commission. One Commissioner is appointed from each country for a four year term. They are the only ones that can initiate legislation. The Commissoners run the EU, and can be reappointed. The law made by the EU Commissioners overrides national law. He is chosen by the European Council for a four year term. He is an influential person with the status of a Prime Minister possibly higher. He can be reappointed. The members are elected by proportional representation. They are called Members of the European Parliament (MEP). They give the EU a democratic image, but in facty their powers are very limited. They nominally scrutinise EU legislation, but this consists of voting yes or no. They are only allowed to make short speeches of 90 seconds, and there is no proper debate as would be expected in a proper parliament. They can reject legislation but not alter any of it. It is nothing more than a talking shop, with no real powers to do anything. The Council of Ministers approve leglislation after it has completed its journey via the Commission and the European Parliament. It finally comes to the Council of Ministers for signature. The ministers on the council would be the minister from each country, relevant the piece of legislation being passed. In practice the Council of Ministers are presented with a massive pile of leglislation with no time allocated to read or discuss it. All they do is sign to approve the legislation, and agree a pre-written press release. The European Court of Justice is the court that enforces EU Law. It ususally uses fines to punish noncompliance with EU Directives. The European Union has been formed through a series of treaties. Every time each new treaty is ratified, the individual country passes further political power over to the EU. Every treaty that Britain has negotiated with the EU has contained detail that has been missed by our negotiators. Heath, Wilson, Thatcher, Major and Blair have all in turn announced negotiating victories, only for the complete opposite to be the case, once the detail was studied. EU Parliament researching new anti-UKIP smear? The European Empire held the opening ceremony of its imperial parliament today with troops from the new EU imperial army, Eurocorps, raising the EU ring of stars flag and playing the EU "national anthem", Ode to Joy. Nigel Farage said "Today is the EU's equivalent of trooping the colour. There is no pretence anymore. 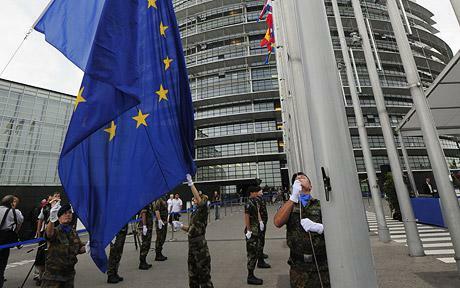 The EU is to be a fully militarised state." The flag and anthem of the European Empire were removed from the EU Constitution when they changed the name to the Lisbon Treaty but it makes not one bit of difference to the eurofederalists. Eurofederalist MEPs actually stand to attention in their parliament when they play Ode to Joy. Hans-Gert Pöttering, the soon-to-be-ex-president of the European Empire, has called for eurofederalist MEPs to freeze what he calls "anti-Europeans" out of the decision making process during this parliament so that they can get on with their federalist agenda. How can anyone be "anti-European"? How can you oppose a continent? Being opposed to the European Empire doesn't mean you detest an entire continent. It doesn't neccessarily mean you dislike the French! Göring Pöttering says the European Empire "depends on those who are willing to unite Europe". Just how much more evidence do people need that the sole objective of the European Empire and the traitors that run it is to create a federal European susperstate? It's there in black and white. Pöttering said that "Soldiers are part of the defence of our values of human rights, democracy and the law, and this is part of our value system of the European Union". The threat is quite clear - the European Empire has its army that is there to enforce EU law and its system of values, such as being guilty until proven innocent and immunity from prosecution for politicans. Would their soldiers be used against us if we tried to leave the European Empire? Is there any doubt that they would? He went on to say "We respect the identity of our regions and our villages and counties and this makes Europe rich". Regions, villages and counties? What about nations? Does the European Empire respect the identity of our nations? Of course not, that doesn't further the eurofederalist agenda - national identities have to be abolished so a European national identity can be created from the ashes. Graham Dines, political correspondent for the East Anglian Daily Times (one of the few remaining independent-minded newspaper titles in England), says that it would be "refreshing" to have UKIP MPs in Westminster. He also makes the point that I have made many, many times about the BNP (and to a lesser extent UKIP) that whether or not a political party suscribes to the mainstream agenda, if people vote for them then they have a right to take part in the democratic process and the LibLabCon have an obligation to allow them to without undue hinderance. I'M contemplating a flying visit to Norwich to see if there is by-election fever. I suspect not. There's 12 candidates standing, with six no-hopers as well as the Big Six - Tory, Labour, Liberal Democrat, UKIP, Green, and BNP. The UK is becoming a pluralist society. That's why I include UKIP, Green, and BNP among the big hitters. However, without proportional representation, the chances of any of them being elected at a General Election is just about zero. It would take an exceptional local campaign for any of them to make it. So do we introduce PR and risk the election of the BNP to seats in Westminster? No one should attempt to control democracy, and if enough people back the BNP, that is democracy, no matter how much we might regret it. And how refreshing it would be to have Green and UKIP MPs striding around the corridors of Westminster. I reckon around a fifth of the electorate would like to see the back of the European Union. Again, establishment politics might tut and fret, but that 20% deserve to have their voices heard in Parliament. For too long, the Commons has been a cosy club of political consensus. And it's for that reason that I'm coming around to supporting PR as part of a comprehensive updating of Parliament, democracy, and above all, the constitution. I have asked, in the interests of balance, if Dines might like to include a pro-UKIP blog in his list of political blog sites rather than just the "UKIP Watch" blog run by an anti-UKIP fruitcake. He does, after all, list Iain Dale in his list of blogs who would vote for a single-celled amoeba if it was wearing a tiny, tiny blue rosette. It's only fair. Whether proportional representation (PR) is the best way of running an election is open to debate. In broad terms I would say yes but there are many variations of proportional variation, some better than others. It would certainly give smaller parties a better chance of getting people elected and in combination with an elected Prime Minister with a cabinet appointed on a PR basis, it would make government more representative. 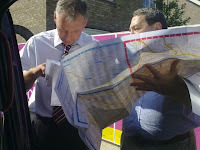 Glenn Tingle, the UK Independence Party’s Parliamentary Candidate for Norwich North has been speaking up for the residents of Fiddlewood, 800 of whom signed a petition against the Ives/Bussey Road development, which involves the building of new flats and houses on a playing field in the middle of their estate. The Council’s Planning Department is now claiming that the petition was never received. 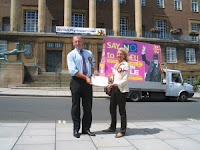 Mr Tingle has been helped by the former Chief Accountant to the European Commission, Marta Andreasen, who is now a UKIP MEP, who visited Norwich yesterday (Sunday) to support his campaign. The pair took a second copy of the missing petition to the doors of the City Council building to stage a symbolic second delivery. The petition, which strongly objects to the building of homes on a play area for local children, was handed to Norwich City Council, who later wrote to confirm receipt of it. However, the Council’s Planning Department subsequently said that it had no record of ever having received the petition. It later claimed in documents published on the Council’s website that there were only two objections to the development, which consists of 16 new houses and 18 flats. It has since given permission for the development to go ahead. Friends, Romans, countrymen (although, probably not many Romans I suspect), lend us your Twitter account. For anyone unfamiliar with Twitter, it's a web service that calls itself a mini-blogging site and is basically a way for people to broadcast anything that's on their mind in 160 characters or less. It doesn't sound particularly useful or exciting but it has a strange addictiveness and the other services out there on the internet that make use of Twitter make it all the more useful. One such service is TwitterFeed, a website that will take any RSS feed (like a table of contents for websites that other websites and applications can use) and posts new entries to your Twitter account. Bloggers4UKIP uses Twitterfeed to post any new items from the blog to the Bloggers4UKIP Twitter account. People who "follow" Bloggers4UKIP on Twitter will see the title of the blog post and a link to it in their Twitter home page. However, whilst Bloggers4UKIP has over 300 followers in Twitter, there is even more potential for promoting UKIP through Twitter using TwitterFeed to "re-tweet" posts from Bloggers4UKIP on your own Twitter account. To do this, pop over to TwitterFeed.com and log in using an OpenID. If you don't have one (you may not realise you have one but yo u probably have) then there are instructions on how to get one. Once you are logged in, click on the Create new feed button and enter the login details for your Twitter account. In the RSS feed box, put in http://bloggers4ukip.blogspot.com/feeds/posts/default. Set update frequency to Every 30 mins and post up to 5 new updates each time. Set Include ... to title & description and make sure the checkbox for Include item link is checked. Set Prefix each tweet with to "RT @bloggers4ukip " - this is important because it shows people where your post has come from and also lets us know how many people are doing it (and don't forget the space at the end!). Finally, make sure the Active box is ticked and save. For more information and a tutorial with pictures, check the tutorial on the Tripwire website. Glenn Tingle’s ‘Clean Start for Norwich North’ campaign (UKIP) continues to attract high level support from the Party’s MEPs. Gerard Batten MEP for London,touched down earlier this week and is back helping today. Nikki Sinclaire MEP for the West Midlands is due tomorrow and on the Sunday the former Chief Accountant of the European Commission, Marta Andreasen will be out canvassing. Ms Andreasen was controversially sacked by Neil Kinnock when she tried to expose the fundamental flaws in the EU’s accounting procedures, which leave it wide open to fraud. At the European Election on 4th June, Ms Andreasen was elected as a UKIP MEP for the South East, and will once again be a thorn in the European Commission’s side when she takes up her position in the European Parliament, next week in Strasbourg. Glen has also been helped by the partys MEPs in the Eastern region David Campbell Bannerman and Stuart Agnew, as well as UKIP Leader Nigel Farage and Party Chairman Paul Nuttall. The Norwich-North by-election will take place on July the 23rd. To help ring 01603 412 643. UKIP MEP for the East Midlands , Derek Clark has been out on the streets with Norwich North by-election candidate Glenn Tingle today. 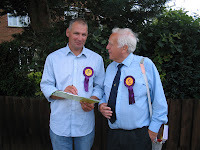 The two men spent the afternoon in Sprowston knocking on doors to spread the word about the UK Independence Party’s Clean Start for Norwich North Campaign. When Will the Penny Drop ? According to a poll published today, 84% of the CON-servative party's membership (of those asked) want a referendum on the Lisbon Treaty... Interestingly, 60% wish such a referendum to also question the basis for Britain's continuing involvement/ membership of the Draconian EU. Julian Craig is an author at Bloggers4UKIP. Publicans in Norwich were invited by the UK Independence Party Leader, Nigel Farage MEP and the Norwich North candidate, Glenn Tingle, to a special meeting last night (6th July) at the Cottage Public House, to discuss the parlous state of their industry and to be briefed on UKIP’s ‘Save the British Pub’ Campaign. Glenn Tingle UKIP's Parliamentary Candidate introduced himself as a local man looking to bring Norwich North a clean start. “The Constituency needs a fresh start after getting dragged into the MP expenses scandal and if I were to be elected, publicans in Norwich would certainly have a strong voice speaking up for their interests at Westminster. Also speaking at the meeting, was Nick Hogan, UKIP’s national spokesman on licensing and the night time economy. He was the first publican to be prosecuted for allowing smoking on his premises, when he chose not to ask a party of Second World War veterans to stand outside to smoke on a cold winter’s night. Topics under discussion at the meeting included the 2003 Licensing Act, the 2006 Health Act, the beer escalator and the EU’s latest proposals anti-smoking proposals. Glenn Tingle, the UK Independence Party’s Parliamentary Candidate for Norwich North has committed himself full time to his ‘Clean Start for Norwich North’ by-election campaign by giving up his job as a contracts manager for a local engineering company. Mr Tingle formally submitted his nomination papers on Monday (6th July). He said: “I did not feel that I could fully commit myself as a candidate, while trying to hold down a job. For me, the ‘Clean Start for Norwich North’ campaign is far too important to be going at it with anything less than 100% concentration. It was also unfair to my employer. The voters are crying out for a fresh start and they won’t get that from any of the other parties. UKIP's momentum in the Norwich North by-election is definetly building with dozens of UKIP's activists canvassing and leafletting the length and breadth of the constituency. They have been joined by UKIP's MEPs in the Eastern region David Campbell Bannerman and Stuart Agnew, as well as two other MEPs UKIP Leader Nigel Farage and Party Chairman Paul Nuttall. Other MEPs will shortly touch down in Norwich to help out in what has so far been a big campaign for the Party . EurActiv says 90% of Europeans are "far right"
EurActiv, a eurofederalist propaganda quango, has decided that UKIP is far right! According to an article on their website titled "Far-right MEPs form group in European Parliament" they claim that UKIP and Legal Nord have formed a far right group in the EU imperial parliament. It appears that the criteria in euroland for being "far right" is being opposed to EU integration and immigration policies and being in favour of returning sovereignty to member states. If this is the case, 90% of Europe must be "far right". UKIP is right of centre, there's no denying that. There is nothing wrong with being right wing, it's just that the "right wing" label has been demonised by the left wing media and policial parties. Pumping out enough propaganda to convince the majority of the electorate that the far left nationalist socialist BNP is right wing (or "far right" as the left wing media likes to call them) has somewhat demonised right wing politics. I'm bang on the centre line on the political compass but I do have plenty of right wing views and I'm quite happy to admit to being on the right. I'm also quite happy to admit being something of an evangelist for English nationalism. Being a right wing nationalist doesn't mean you're a racist, have a shaved head and swatika tattoo or eat kittens. It means you are proud of your country, have a strong national identity and would really rather not have 50% of your gross income taken off you to subsidise a vast socialist establishment (British or European). Not only is UKIP and this new group the only effective voice of opposition to the whole European Empire, but whilst we are in it, they are the only mainstream right of centre group opposing a huge pan-European socialist alliance driving the marxist agenda of the British government. It was a struggle, it may always be hard : but it was worth it. Scotland and England together on equal terms! The Scotland Act marked a fundamental change in the way the UK was governed and widened the democratic deficit that had always existed between England and Scotland, with the latter already having a disproportionately high number of MPs and its own dedicated Minister and Office within the British government. The Scotland Act gave Scotland a devolved Scottish Parliament and Executive with control of domestic affairs in Scotland, a Scottish First Minister and a raft of MSPs (Members of the Scottish Parliament) to represent the Scottish people in their new parliament. Shortly afterwards, a referendum was held in Wales (50% turnout, 51% in favour) and a Welsh Assembly was created with much more limited powers than the Scottish Parliament but an impressive amount of control of domestic affairs nonetheless. A year or two later, the Northern Ireland Assembly at Stormont was reconstituted, giving the Northern Irish people self-government again. Far from putting England on an equal footing with Scotland, or the rest of the UK, this put England at a distinct disadvantage. Scottish, Welsh and Northern Irish MPs have continued to attend the British parliament in Westminster and vote on any bill put before the House, whether it something that is devolved in their own constituencies or not. University top-up fees and foundation hospitals are just two examples of controversial legislation that only apply to England that would not have passed without the votes of Scottish MPs. The Scottish health and education services are under the control of the Scottish Parliament north of the border yet Scottish MPs lined up to vote for the introduction of foundation hospitals and top-up fees in England, overturning the vote of the majority of English MPs who had voted against them. So what is UKIP's policy on devolution? In a nutshell, it is to abolish the devolved Scottish, Welsh and Northern Irish governments and replace them with grand committees of MPs based on the country they were elected in. Scottish MPs would sit in Holyrood for a couple of days a week, Welsh MPs in Cardiff Bay, Northern Irish MPs in Stormont and English MPs in Westminster. For the other couple of days, they would all descend on Westminster to deal with British issues. When the Hansard Society published their Audit of Public Engagement report, the issue that respondents were most dissatisfied with was Scottish MPs voting on English issues. Not the European Empire (4th), not House of Lords reform (3rd) and not funding of political parties (2nd). Would UKIP's policy address that dissatisfaction? Yes, to a certain extent but would it work? The UKIP policy is a variation on the English Votes on English Legislation (EVoEL) policy the Tories announced a few years ago. On the day the Tories announced their new EVoEL policy, an MP from a Scottish constituency said that under EVoEL he would still be able to claim an interest in any English matter because any money spent in England would affect the amount of money in Scotland's block grant. This wouldn't happen if an English executive was created with clearly defined areas of responsibility. I don't know if this was the intention of the committee that came up with the policy but it is the only way that it can work without MPs representing the celtic nations undermining the whole setup as mentioned in the paragraph above. But if you create an English executive then why not create an English Parliament? Under the current system, Scottish people elect MPs to represent them in the British parliament and MSPs to represent them in the Scottish Parliament. In Wales they elect MPs to represent them in the British parliament and AMs to represent them in the Welsh Assembly. In Northern Ireland they elect MPs to represent them in the British parliament and MLAs to represent them in the Northern Irish Assembly. In England we elect British MPs to represent us in the British parliament but nobody to represent us in an English assembly. Under UKIPs proposed system, Scottish, Welsh, Northern Irish and English people would elect MPs to represent them in the British parliament and their national assemblies at the same time. It's a bizarre concept because it requires MPs to put Britain first for a couple of days a week and then put their own nations first for another couple of days a week. There is a clear conflict of interests and divided loyalties in asking MPs to put Britain before their own nation for half of the week and then put their own nation before Britain for the other half. No one can serve two masters, because either he will hate one and love the other, or be loyal to one and despise the other. You cannot reasonably expect an MP to effectively and fairly separate their loyalties based on what day of the week it is. You also can't expect MPs elected in England to suddenly rediscover their loyalty to England when they've spent over a decade defending a system of apartheid against their own constituents. But the biggest problem with UKIP's devolution policy is not that it won't work, it is that it is out of step with public opinion. Had the members ot the committee that came up with UKIP's devolution policy done their research and looked at what the many independent opinion polls say, they wouldn't have come up with this policy. There is a large majority in favour of the creation of an English parliament, just as there is a large majority in favour of the Scottish Parliament. Let's take the first argument - it will lead to the break-up of the union. Firstly, the union will be dissolved in my lifetime. I'm not advocating the break-up of the union, I'm just telling it how it is. All over the world - but particularly in Europe - the nold unions are breaking up and historic nations are re-emerging. The union between England and Scotland was never a strong one - Scotland retained all its own customs, traditions, legal system, etc. and has never really been integrated into the union in the same way England and Wales have. Now they have their own parliament, the union is virtually unravelled from Scottish life. The Scots would declare independence before they lost their parliament and while the Welsh are a bit less enthusiastic about their assembly than the Scots are about their parliament, that would change dramatically if it was under threat. The only chance the union has of surviving is to put all four home nations on an equal footing and as devolution cannot realistically be rolled back, that means by converting the Welsh and Northern Irish assemblies into parliament and creating an English Parliament. The second argument - too many politicians - is a common one and the easiest to dismiss. We currently have over 650 British MPs. If you took away 80% of their job by devolving it to an English Parliament, why would you still need over 650 British MPs? It needn't mean more politicians, just different politicians. With a devolved parliament in all four home nations and a small federal British government, there would be no need for any more than one British MP per county with the balance (or less) being English parliamentary constituencies, allowing for 2 or 3 Members of an English Parliament to represent each county. The third argument - that it is playing into the hands of the European Empire - is such bunkum that it's barely worth talking about but if I don't dispell the myth it will perpetuate. Our imperial overlords on the continent split the UK up decades ago. They didn't split it into four, but into twelve euroregions - Scotland, Wales, Northern Ireland and nine euroregions of England. Uniting all nine euroregions under one devolved English Parliament would not be playing into the hands of the European Empire, it would be a two-fingered salute to the anglophobes and federalists that see a future where England only exists in history books. UKIP's devolution policy loses us support from a large number of voters who want an English Parliament, 99% of which are arch-eurosceptics. Those people generally vote for the Tories because of their vague promises (aren't they always vague?) to sort out the West Lothian Question or, if they feel that strongly about it, they vote for the English Democrats. If UKIP came out in favour of an English Parliament, we would not only reinforce our credentials as a democratic, libertarian party but we would attract the vast majority of English Democrat voters and an even bigger chunk of Tory voters. If we can't convince enough people to vote UKIP in the general election on our policy of leaving the European Empire, let's convince them to vote for us by supporting an English Parliament. More bad news for the European Constitution aka Lisbon Treaty. The German Constitutional Court has suspended the ratification process in that country as it says that the implementation of this treaty would have profound effects on democracy. It "explicitly confirmed" that contrary to the outright lies told by people like Broon and Mandelson, this treaty does indeed transfer still more powers from the member states to the EU and goes way and beyond being simply, "....a tidying up exercise" as deceitful liars like Hain have claimed in the past......Or maybe they are just too thick to understand it. That wouldn't surprise me at all. It is a shameful day when this great country has to rely on the constitutional courts of another country, whose constitutional arrangements we were largely the architects of, to protect us from the mendacity and lies of our own government. When the people of this country elect a government they vest power to govern in that government for five years or less should that government so wish. The power vested does not belong to that government. They only have a five year lease. When the five years is up they hand it back, intact, to the freehold owners......the people. It is not theirs to give to another party without consulting the freehold owners any more that a lessee and lessor of a property can enter into an arrangement that binds the reversion (the freeholder). Thankfully the lies of Brown are being laid bare.....How much longer will we be compelled to put up with these people? (rhetorical question). They absolutely disgust me! UKIP is an author at Bloggers4UKIP. The European Empire has graciously allowed our shops to start selling bendy cucumbers, square strawberries, rude carrots and other "deformed" fruit and veg from today. Our imperial overlords finally caved in to constant pressure from across the continent and lifted the strict rules on the shape of fruit and veg that even went as far as setting a legal limit on the curvature of a banana and required any non-compliant fruit and veg to destroyed. Lifting these pathetic rules will make fruit and veg cheaper - some experts reckon as much as 40% cheaper - but the fact that they've been in place for a couple of decades despite being so utterly ridiculous and universally despised and condemned shows how pig headed our imperial overlords are. Brussels would argue that black was white if they issued a directive declaring it to be so. “I am delighted to announce the formation of this group. It is a cohesive and broad based Group that will be able to build on the effectiveness of the Independence/Democracy Group from the last Parliament. It will be able to provide real opposition to the centralising consensus of the other groups. Something that this Parliament, and the free peoples of Europe have been crying out for”. The name of the new Group and its program will be presented at the launch. Rumour has it the group may be called ''A Europe of Free Peoples'' or A Europe of Peoples for Liberty, although the word 'Independence' may yet be retained somewhere in the title.